Pinterest is proving to be a great social network for businesses to connect with customers. Here’s a stunning infographic that spells out all Pinterest’s benefits for business. Click here to start to receive my newsletter. Pinterest vs. Facebook: Which is better for business? This video is chock full of the latest statistics for social media use in business and discusses what’s important in measuring ROI. Half of Canadian businesses believe that social media has the potential to increase their profitability, according to a new BMO Bank of Montreal survey. However, while social media tools such as podcasts and social networking sites present significant, cost-effective opportunities for businesses to engage customers, only 29 per cent of Canadian small business owners are taking advantage. For those businesses that use social media tools, Facebook is the most popular choice at 70 per cent, followed by LinkedIn (32 per cent), and Twitter (31 per cent). On average, Canadian businesses owners surveyed say that 28 per cent of their marketing efforts are focused online as opposed to traditional media channels. Those who believe social media can increase their profitability are also more likely to devote a higher percentage of their marketing efforts online on average, compared to those who do not believe it will help the bottom line (34 per cent vs. 22 per cent). My take: Business owners often underestimate the time and effort required to gain traction in social media. In addition the impact on the bottom line is difficult to measure than some more traditional forms of marketing. This can lead to frustration and disappointment, but those companies that take a strategic, planned approach to social media engagement will see huge benefits. Do you find value in Facebook’s new Questions? They said that 2010 would be the year that social media went maintream, and they were right. It was the year where we saw droves of ‘special consultants’ start up social media management services to cash in on the trend. But I always advise companies not to outsource this important aspect of their communications and marketing functions. To me, it makes no sense to hand over important relationships to outsiders. My approach to social media consulting is to help companies get to grips with the new tools and help integrate them into the overall strategy. 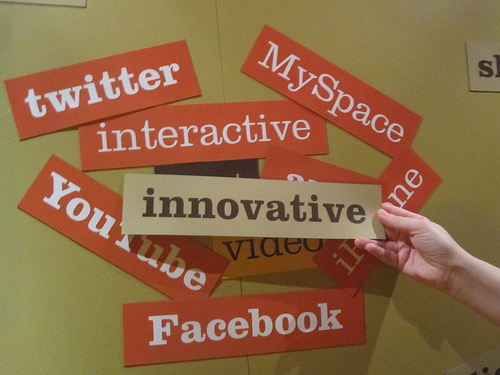 Let 2011 be the year that you integrate the social internet into your marketing and communications strategies. To learn more click here to see my February newsletter: Social Media News. Foursquare, the location-based social networking service, is targeting brands and local businesses by revamping its business pages; this step will help it face formidable competition from Facebook Places. The New York-based social networking company, which launched in 2009, was a pioneer in location-based “checking-in” to receive rewards and deals, but lately it seems to have lost momentum, partly because of the Facebook location initative. The idea is to make Foursquare a whole lot easier for businesses to understand and use. The company has launched new Foursquare for Business pages which provide separate guidance for brands and venue owners. There is a step-by-step “walk-through” guide for businesses to show how they can claim check-in venues. The business pages explain the company’s merchant platform and how venue owners can run and track campaigns. It gives guidance on creating pages and using the badges-rewards system to drive consumer engagement. The Foursquare for Business pages also include examples of successful brands’ pages, including Louis Vuitton, Red Bull and Havaianas. Click here to start receiving my newsletter!